This lecture will create a clear visual image and understanding of what is happening for the baby as she takes her first breaths and shifts from oxygenating through the placenta and cord to beginning to use her lungs. Participants will learn when, why and how they need to assist a newborn in respiratory distress or in need of neonatal resuscitation. Karen Strange delves into the subject that she knows best: neonatal resuscitation. Karen has accumulated over 900 hours of case reviews surrounding neonatal resuscitation. She focuses on what gets missed, what is misunderstood and the role that fear and panic plays. In this lecture, Karen sheds light on the most common failures and misconceptions that come up in neonatal resuscitation. She’ll explain the key failures as well as the key components to successfully breathing for a newborn. You’ll leave her lecture feeling a new sense of clarity and deep confidence in how you respond to babies at birth. This hour will be about honoring midwifery within the history of how birth changed through standard obstetrical practices. Acknowledging and reframing what normal is through the lens of instinctual behaviors. We will look at the embryological blueprint of birth (mammalian birth) as a template for normal and how one can support normal/instinctual in all birthing environments. Beginning from the position that “knowing normal” is baseline, critical and foundational to midwifery care. It is imperative to also know what “not normal” or pathology is in order to provide safe, life saving care when needed. We will investigate how fear often feeds unnecessary interventions regardless of where birth occurs. Techniques will be given for how to work with and regulate the fear one might experience. This GOLD inspired presentation will be filled with storytelling, historical perspective and the captivating journey of birth. 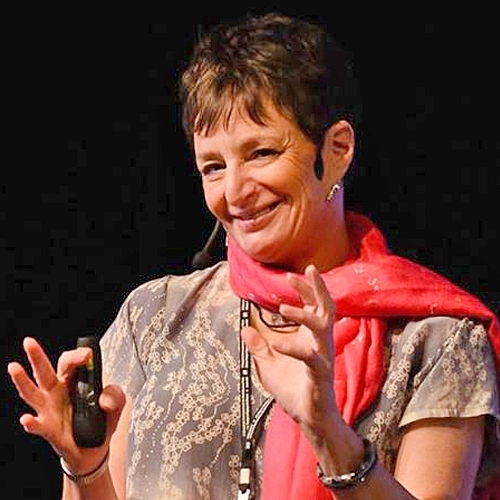 Karen delivers a paradigm shifting, dynamic lecture to expand our midwifery and birth mindset. A good birth is such a gift, and a complicated birth is the reason YOU are there. When a baby is born not breathing or not breathing well, it’s the birth practitioners job to step in and help. This goes beyond just having an NRP card. One wants confidence and competence to respond appropriately even if fear and panic may be filling your body. Karen Strange is teaching the subject that she knows best: neonatal resuscitation and how newborns go from fluid filled lungs to air filled lungs. Karen has gathered data from around the globe and pinpointed the 5 most common mistakes/failures that occur in neonatal resuscitation. She breaks down the 5 main failures and gives tips and clarity needed for successful resuscitation of the newborn, in the least traumatic way. Learn what often gets missed, and the most frequent misunderstandings regarding neonatal resuscitation. Feel competent and confident regarding when and how to respond to a newborn in distress.